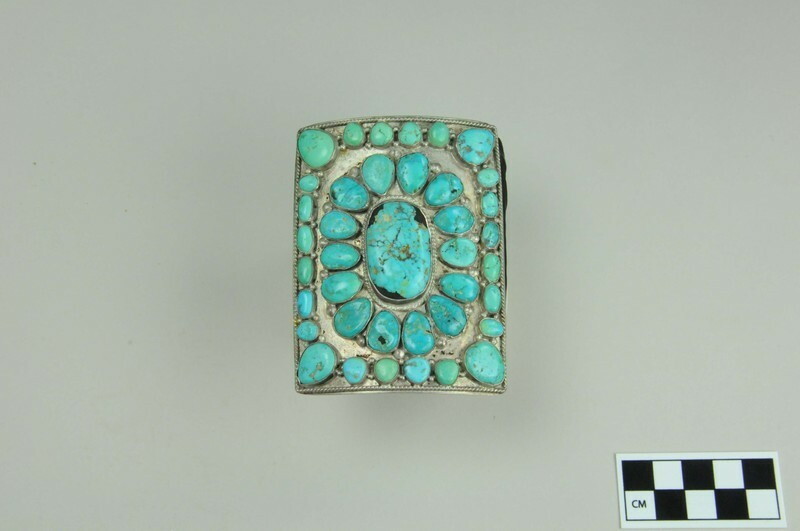 Silver ketoh with one large turquoise stone 1 1/4" long, surrounded by 14 polished teardrop-shaped turquoise stones. 24 stones line the outermost edge of the silver plate--1 teardrop-shaped stone at each corner with smaller oblong stones in between. Total of 39 stones. 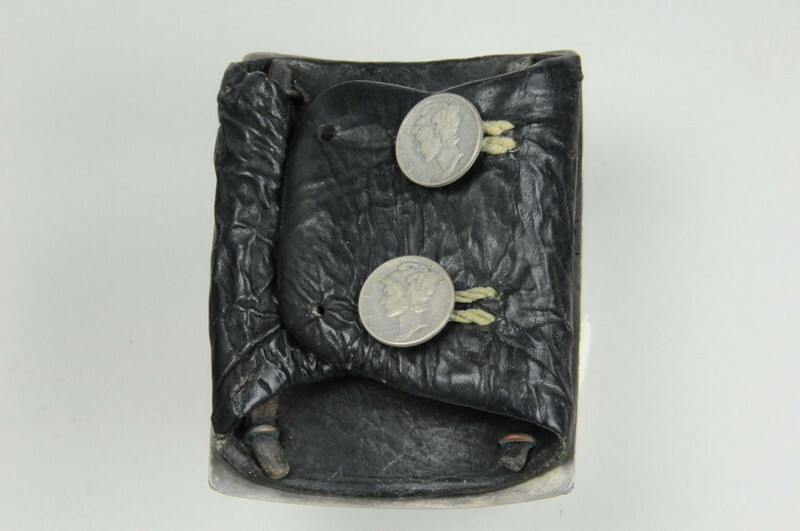 Mounted on a black leather strap with 2 mercury dimes (one dates to 1937 and the other to 1943) used as closure buttons.